Our Hula Girl Pinata will have your party guests feeling like they’re enjoying a luau in Hawaii! 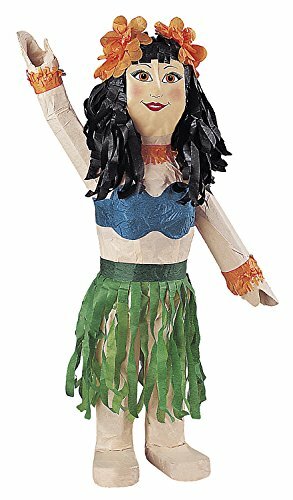 Our Hula Pinata comes in the fully dimensional shape of a hula dancing girl, ready to sway her hips in the summer breeze at your tropical party! Before your little Hawaiian dancers Hula their way over to the goodies, our Hula Dancer Pinata also serves as a memorable luau party decoration!